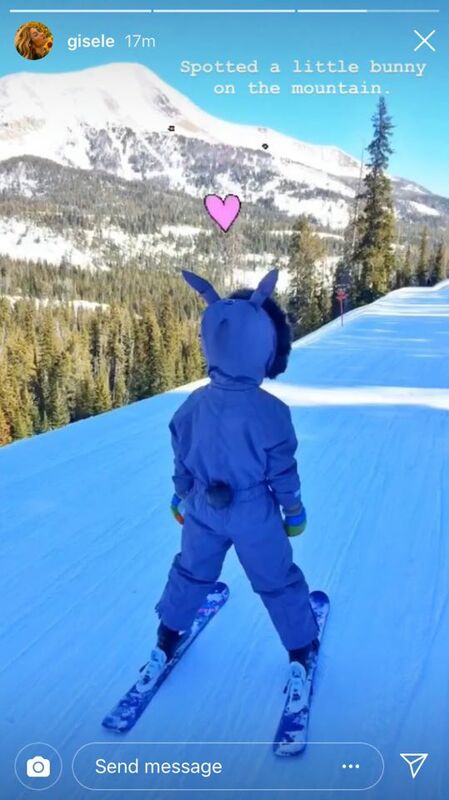 Tom Brady, Gisele Bundchen and their kids are having some really good family time in Montana. The quarterback is off to accepting yet another challenge, and Gisele also enjoys the nature and all the snow. What are the kids doing? Vivian put on her bunny gear, and Gisele couldn’t resist the moment. So, she decided to snap a pic, and share it on Instagram. The little girl steals everyone’s heart, especially when she accompanies her father in Super Bowls. Brady has a special place in his heart for the little bunny. Gisele had hard time coping with her motherhood, but that’s what happens to every mom out there. Getting used to her new life and giving up on her dreams was a big bite to swallow, but she is doing a really good job.